Home » Products & Services » Reverse Osmosis: What It Is and Why You Need It! Reverse Osmosis: What It Is and Why You Need It! 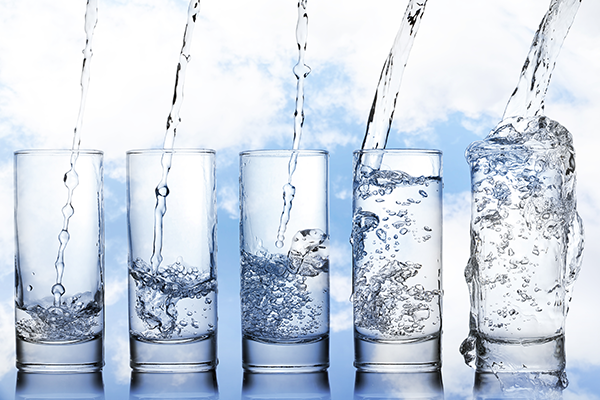 Comments Off on Reverse Osmosis: What It Is and Why You Need It! It is hard to watch the news or read a newspaper (you know, that thing you used to read at breakfast before the internet and laptops) or magazine without seeing something alarming about our water. In certain parts of Colorado Springs and Fountain chemicals have been found in the water that are indisputably harmful to humans, precipitating water utilities to hand out bottled water and change water sources. There have been Drinking Water Advisories and lead issues in Washington, DC—a municipal water system—instructing residents and businesses not to drink the water! In Time magazine, there was a lengthy article regarding the seepage of pharmaceuticals—prescription drugs—into our water supplies. And by now we have all heard about the tragic lead levels in Flint, Michigan’s water. Clearly, we cannot simply rely on the powers that be to make sure our water supplies—municipal or private wells—are both safe and desirable. Just because it won’t make you sick doesn’t mean you necessarily want to drink it. That’s where water conditioning, and specifically reverse osmosis, can help. Reverse Osmosis, or RO, when used in conjunction with a whole-house (a point-of-entry treatment system), or on its own for some applications, can ensure that your water is both safe and enjoyable to drink and use throughout your home or business. The RO process uses filtration and a semi-porous membrane to filter out the very smallest dissolved matter and particles that can impair water quality. It is far more effective than common filtration (like a sediment or carbon filter you can acquire at a grocery or hardware store), removing matter as small as some bacteria. Examples of things that RO will remove include lead and other metals, pharmaceuticals, asbestos, benzene, PCBs, PFCs, nitrate, chromium and arsenic. RO units will reduce the total dissolved solids (TDS—everything in your water that is NOT water) in your water by 90% to 99%. At the end of the RO process, you will be drinking and cooking with the finest—i.e., highest purity and quality—water that you can get. There is no reason to just hope for the best when it comes to your water. We will help you make sure you are getting the best! We have a variety of systems available to give you RO water where you drink the water or throughout your home or business. Give me a call! Talk to you soon!